Brunch is the most important meal of the day. Or was that breakfast? I don’t know, to be quite honest. But what I can tell you is that, if you ever come to visit me in Aguascalientes, I am taking you to La Parra for breakfast. The sad thing is that La Parra doesn’t have a website that I can link to. But the good thing is: food here is incredibly tasty, inexpensive and definitely worth the visit. 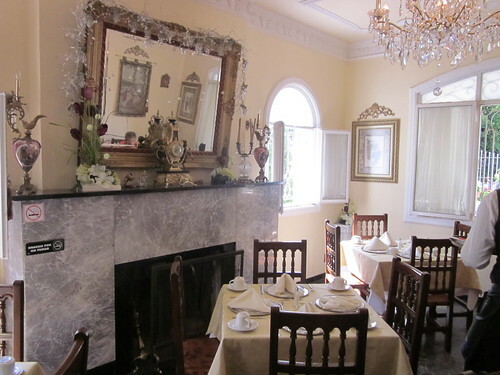 Located centrally on Madero, La Parra is an old mansion refurbished as a restaurant. 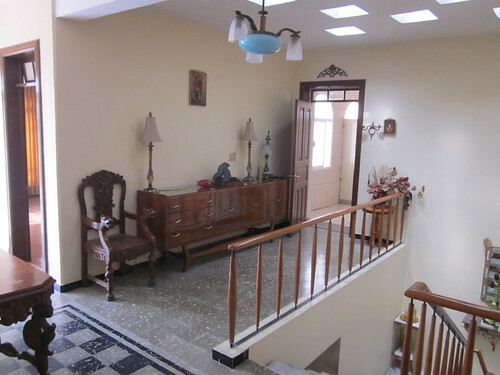 This is not an uncommon process for Mexican mansions, to be redesigned as restaurants or hotels. 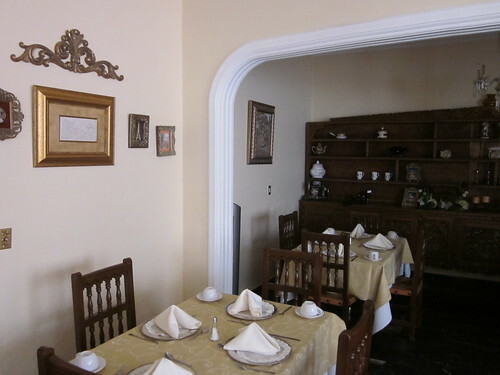 Certainly this was the case with Casareyna in Puebla, and with La Quinta Luna in Cholula. 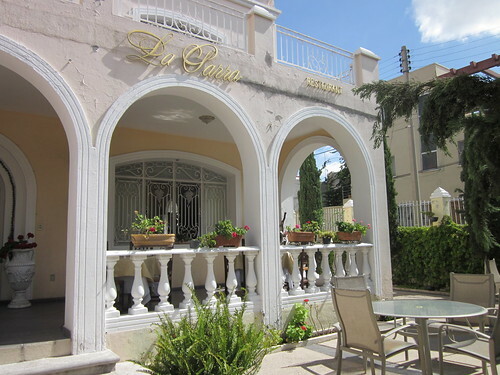 But La Parra has this certain feel that, while it’s in the middle of the hustle in central Aguascalientes, it can also be an oasis to hide from life outside. 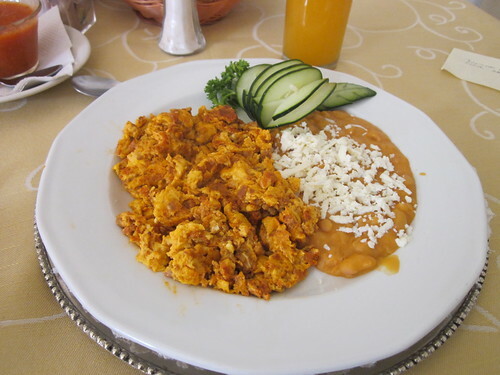 I ordered scrambled eggs with chorizo and an orange juice, and my entire breakfast was less than $80 pesos ($6.50 Canadian dollars). Really inexpensive and fantastic food. And the service was outstanding. 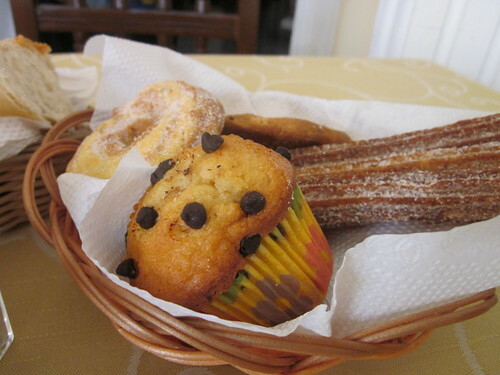 Complimentary muffins with my coffee were greatly appreciated. The owner of La Parra was kind enough to tour me around and I definitely enjoyed my time there. 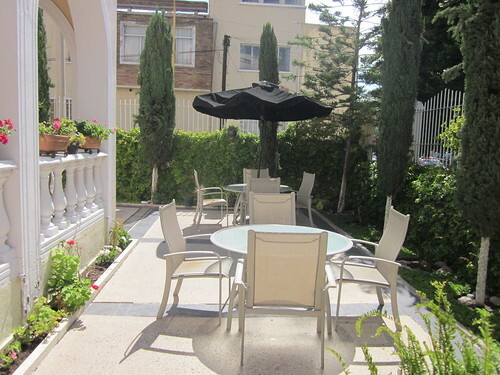 The patio of La Parra looked incredibly inviting and peaceful. 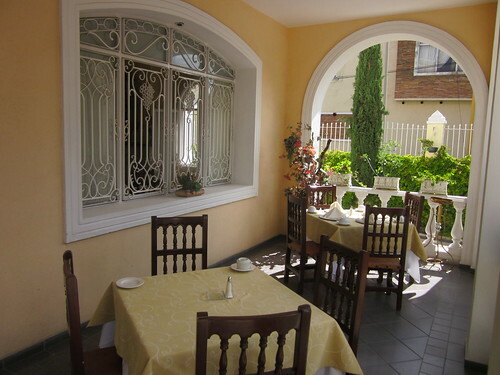 You definitely SHOULD come eat at La Parra if you are ever in Aguascalientes. An experience worth doing. Disclosure: I paid for my breakfast at La Parra on my own dime. Ahhhhhh!!! I want to visit already! Sounds delicious! 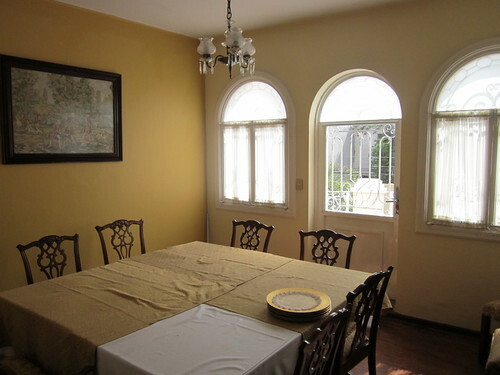 And the décor is beautiful… love your photographs. Now I really want to come visit.